Your customers are the centre of your business, and our community is the centre of our work at Trinity. We can offer access to the diverse audience who interacts with our building, exciting volunteering opportunities for your staff, free tickets to shows, and visible brand recognition opportunities. In 2018, we are seeking corporate partners to support our building works, and in exchange we can offer a stall at our famous Garden Party on 13th May, which attracts over 5000 local people and internationally recognised bands. 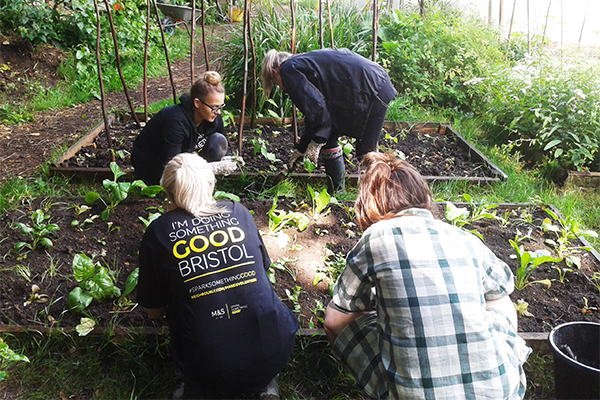 The Garden Party offers the perfect opportunity to grow your brand recognition and loyalty with the people of Bristol, and fun and unique volunteering day for your team. Interested in organising a corporate volunteer day? Then download our guide here.